Enlarge/ Russia’s Soyuz rocket and crew capsule are back in business after a launch Monday. Less than two months after a booster separation issue with a Soyuz rocket caused a dramatic, high-gravity landing, the Russian vehicle soared back into space on Monday at 6:31 ET (11:31 UTC). The launch from Kazakhstan, under mostly clear, blue skies, was nominal as each of the rocket’s first, second, and third stages fired normally. The launch sent NASA astronaut Anne McClain, Canadian David Saint-Jacques, and Russian Oleg Kononenko into space aboard their Soyuz MS-11 spacecraft. After making four orbits around the Earth, their Soyuz spacecraft is scheduled to dock with the Russian segment of the International Space Station at 12:35pm ET (17:35 UTC) Monday. On Thursday a rocket failed. Three humans remain on the ISS. What’s next? This marked a critical launch both for Russia’s space agency, Roscosmos, as well as NASA. For Russia, Monday morning’s successful launch came after several high-profile failures in recent years, which called the safety of its venerable Soyuz rocket into question. For both Russia, the United States, and the rest of the space station partnership, Monday’s launch was critical as well, because another serious problem would have put the future of the orbiting laboratory into jeopardy. The three-person crew now in space, European astronaut Alexander Gerst, NASA’s Serena Auñón-Chancellor, and Russian Sergey Prokopyev, are due to return to Earth on December 19. Now, they will be able to come home on schedule, and the three astronauts that launched Monday should be joined by three additional astronauts in March. This will allow the station to resume normal operations with a six-person crew, enabling both housekeeping tasks on board the station as well as a full suite of scientific research. After Monday morning’s launch, NASA Administrator Jim Bridenstine thanked the Russian space agency on Twitter. “I’m grateful to Director General Dmitry Rogozin and the entire @NASA and @roscosmos teams for their dedication to making this launch a success,” Bridenstine said. 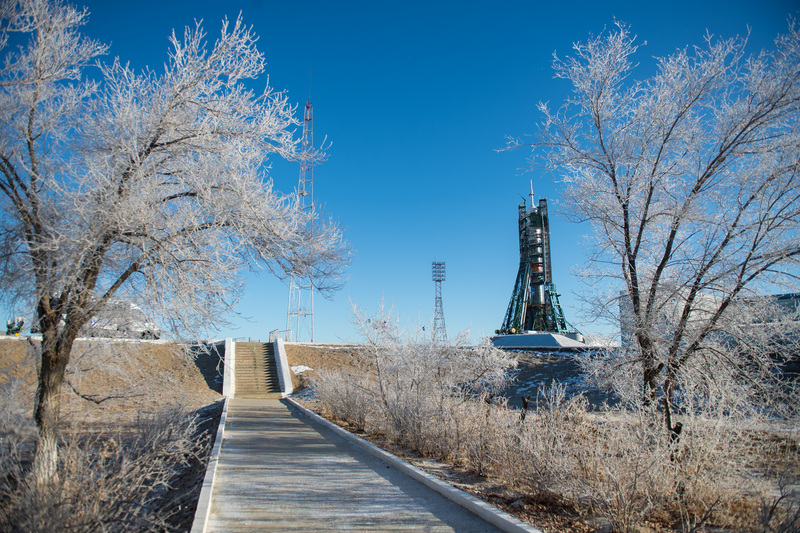 The administrator was actually at the Russian launch site in Baikonur, Kazakhstan, in October when one of the four booster stages attached to the Soyuz rocket failed to separate properly. This booster then struck the core of the rocket, causing a significant jolt and triggering one of the Soyuz spacecraft’s automatic escape systems. This sent the Soyuz spacecraft on a ballistic return trajectory to Earth that saved the lives of NASA astronaut Nick Hague and Russian cosmonaut Aleksey Ovchinin. A sensor rod, bent out of its normal configuration by a little more than 6 degrees, caused the booster separation issue. This happened during assembly of the rocket, and Roscosmos classified this as a handling error. To fix the process, Soyuz rockets already assembled for launch with their booster packs will be disassembled and reassembled to ensure that similar mistakes have not occurred. NASA will remain reliant on Russia to get into space until commercial crew spacecraft under development by SpaceX and Boeing are ready to carry astronauts to the station. That could happen as early as next year.